Awesome tube tone in a versatile size you can pair with your favorite cab. Since the launch in 2010, HT Venue has become one of the world’s best-selling valve amp lines. Its name is already synonymous with class-leading tone and flexibility, but now, after more than 3 years of intensive R&D and market research, Blackstar is about to release the stunning next generation of HT Venue valve amplifiers. 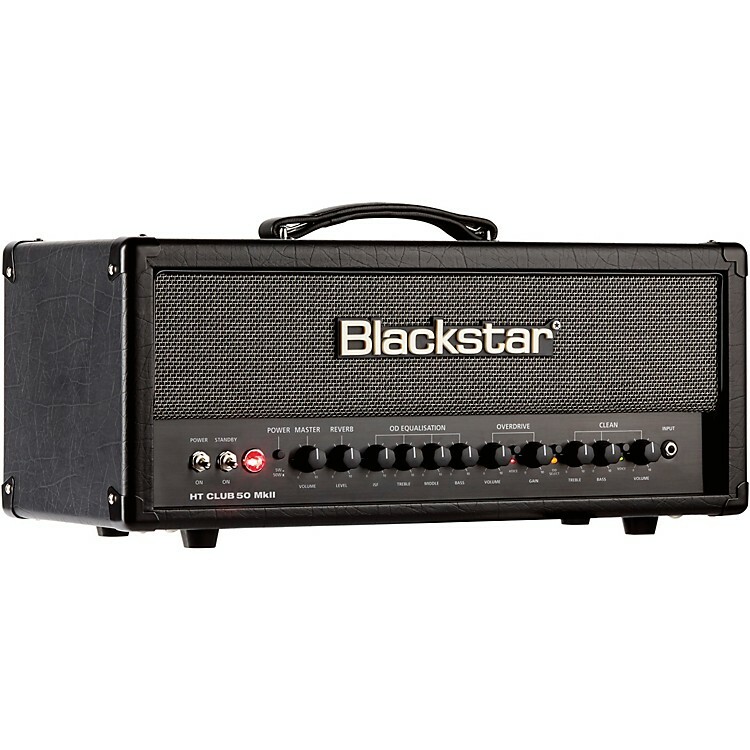 When enhancing the tonal quality, Blackstar’s engineering team started by benchmarking the finest vintage and new valve amps on the planet, some of which cost five times the price of HT Venue. The mission was then “simple”: improve on these sonic references in the way Blackstar is renowned for, and combine the sounds into a cohesive, creative product. In addition to the clean channel enhancements, players can expect richer, more complex overdrive tones from the drive channel(s) in HT Venue MkII. The drive channels are fuller and even more responsive than the original Venue series, and each overdrive channel features its own Voice switch. The high gain voices are tight and focused, drawing on the original award-winning HT Venue Series, while the mid-gain tones are perfect for those players who prefer “edge of breakup” tones, and then either push the amp with pedals or clean up the tones with the guitar’s volume knob. In keeping with the Venue series’ player-centric design philosophy, all modes are footswitchable, resulting in the widest possible selection of stage-accessible valve tones. In addition, a switchable power reduction circuit is included, giving reliable, transparent attenuation down to 10% of the amp’s rated power. It’s perfect for those playing environments where volume limitations prevent other valve amps from getting to their sweet spot. For players who are doing recording sessions, the Venue MkII also includes a professional USB recording output, which is the simplest way to record authentic valve tone. Other pro features on all Venue MkII models include a footswitchable boost on all channels, direct output with built-in speaker cabinet emulation and a studio quality reverb, newly designed in-house by the engineers at Blackstar. Lastly, all of the Venue MkII models have been reengineered physically to be more compact, lightweight, practical and portable. Blackstar’s Venue series amps were built to outfit the widest range of players from all music genres with the best in all-valve, versatile, high-quality amplification. The Venue MkII continues with that philosophy, and makes a great amp even better.